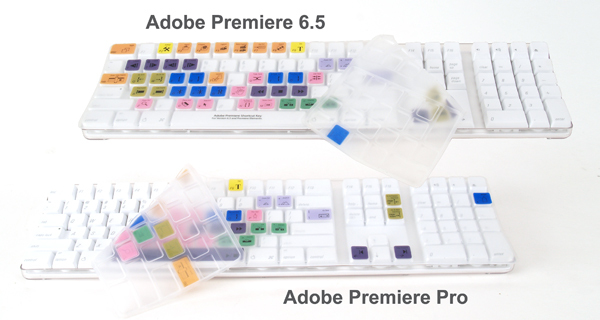 zCover Inc, the leading manufacturer of fashionable silicone protective cases, has announced today the release of Shortcut program Keyboard covers for Adobe Premiere and Shortcut program Keyboard covers for Adobe Premier Pro. Design for Apple, the Premier keyboard cover transforms a standard Apple Keyboard into a fully functional specific Premier editing keyboard. Armed with the ability to illustrate all the short-cuts of learned premier professional, the cover also provides quality protection to the keyboard from dust, spills, staples and many other contaminates that could enter through the keyboard and cause harm to the Mac. Adding ease and convenience the cover is so versatile and robust it can be washable. Precision molding for each key and a high know-how printing process known to zCover as "zPrinting" gives the cover unquestioned durability. The cover does not slip or slide and fits as such it belongs, molding itself to every contour of the Mac keyboard. The printing does not peel or fade and the high quality silicone is resistant to ripping or tearing. 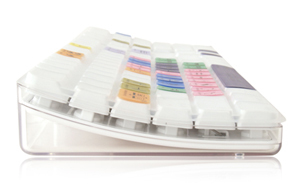 "It took us years to develop printing technology for our silicone covers. zPrinting is one of our key business." said Sean Sa, vice president of zCover Inc. "The editors can now use the zPrinting covers with the best value for their money. The printings are blended to our molding by our specially designed technique giving the labels their permanence. Being extraordinary durable and a perfect fit they win lasting affection and loyalty"
The zCover Premier program keyboard cover is the hardware for the premier software. The zPrinting Adobe Premier Short Cut Key Program Keyboard cover is compatible with Adobe Premier Version 6.5 and Adobe Premier Elements. The zPrinting Adobe Premier PRO Short Cut Key Program Keyboard cover is compatible with Adobe Premier Version PRO1.5 and Adobe Premier Elements. The zPrinting Adobe Photoshop Short Cut Key Program Keyboard cover fits Apple Keyboard & Apple Wireless Keyboard.